This trip was in the works for months. 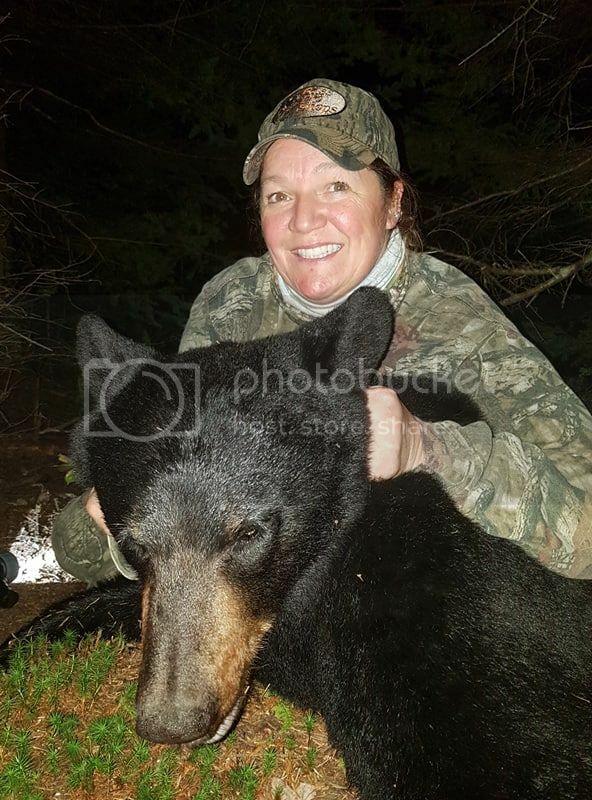 A social visit with our besties Markus and Alison at their home in Nova Scotia with some bear hunting thrown in for fun. Flights were booked in the spring and it was something we were all looking forward to. Markus spends a pile of time in the woods. I doubt there are many as tuned in to what is going on than him. His relaxed and laid back attitude is refreshing and always makes for a fun trip. He does his homework and does all he can to have his guests see some success. 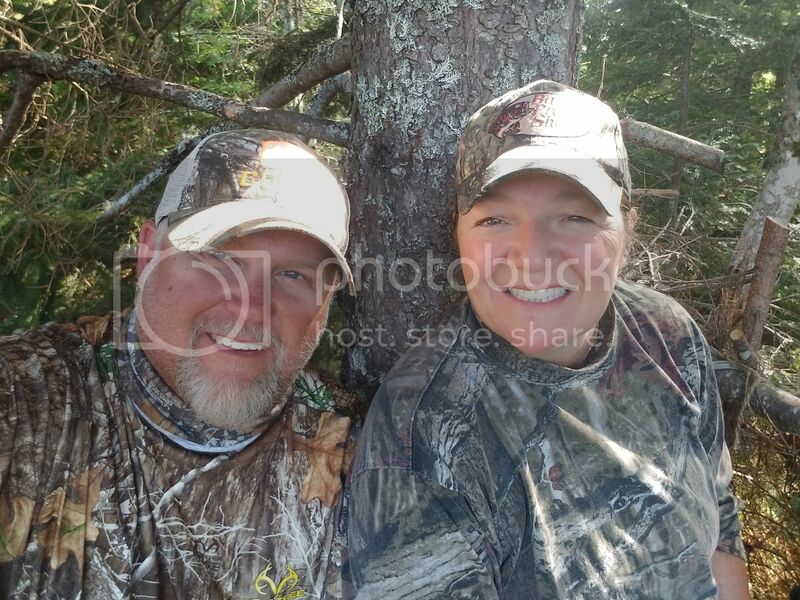 Last year, Birdee tagged her first bear while with Mark. It turned into a double header within minutes. Unreal hunt. 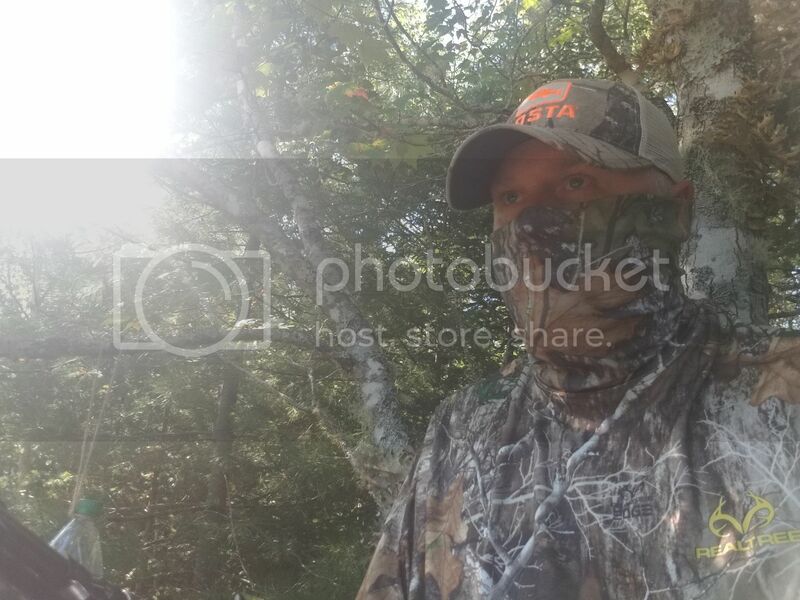 With me now being a legal hunter as of last December I wanted a crack at one this time around. We flew into Halifax and grabbed a bite to eat. Spent the night catching up over a few drinks. We see Markus and Alison a couple times a year and it’s like we just saw each each other the week before. Amazing friends. The next morning we did some running around getting licenses and such. Plans were in place for the first night as I sat with Mark’s buddy Tim. Birdee hopped in with Markus at another site. No action for either of us. The boys were puzzled. The next morning we ran some bait to a few sites and started making plans for that evening. Birdee was going to head to one site with Markus. I was being dropped off at another and they’d come get me at the end of the night. Now. I’ve hunted for a total of 10 days in my life and I’m left alone to do this. OK. “You’ll be fine”, chirped Markus. 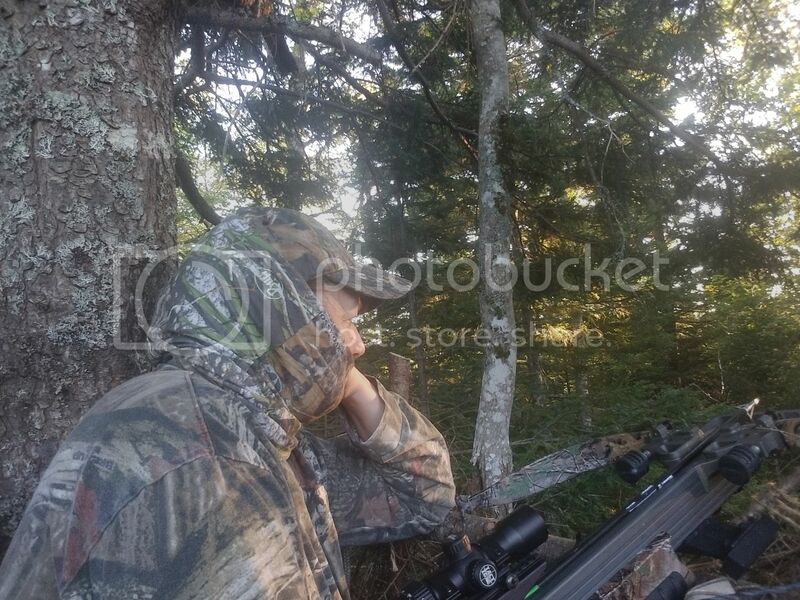 I climbed into the stand about 12 feet off the ground and got comfy. Awesome spot. It overlooks a gravel pit that ends on a ridge 30 yards away. The Bears come down the ridge into shooting range. Having sat with them the year before and had the bears come in and not hearing a peep I knew I had to keep my eyes peeled. While enjoying some jujubes and openly asking on Facebook from the tree who the hell eats the green and yellow ones I was loving it. It was nice out, perfect evening. It was about 2 hours in and about 90 minutes of jujube debate on Facebook when I suddenly looked up to see the blackest thing I’ve ever laid eyes on. Again, not a peep. I waited for the right shot and took it. I was vibrating. What a rush. Now I had to sit and wait. Birdee and Markus arrived after dark to get me and start the trail for my bear. Up the ridge we went and he wasn’t too far off. 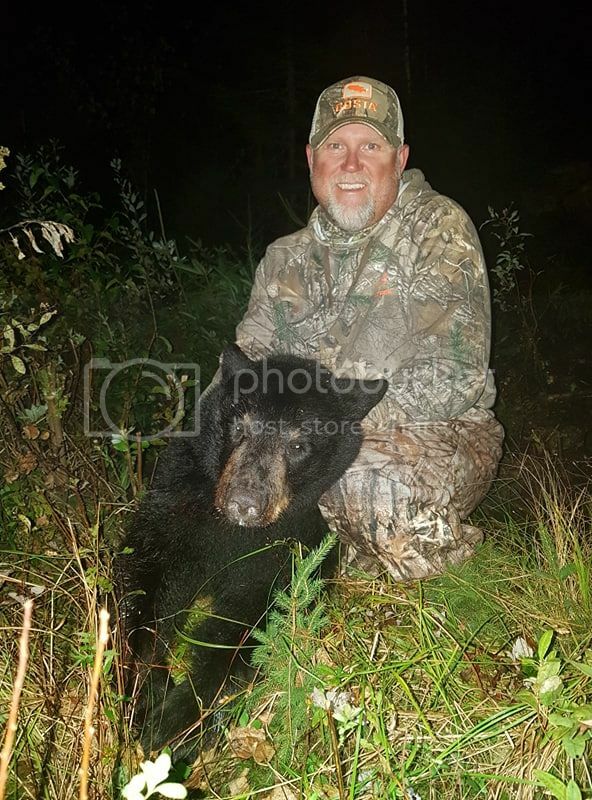 Not a big bear, but it was a bear and my first. Recovered and a few quick pics and off to processing. It was a celebratory night. A few drinks and plans to get back at it the next night for Birdee. Her and Markus were going to sit at a different site for the evening. I stayed at the house and chilled out. They had some action. They had a sow and her cubs running around underneath them for quite awhile. Birdee was thrilled to see this. Pretty cool but no shots fired that night. Markus decided I would sit with Birdee and he would slide over to another site. I let her in on a little secret. I told her I had my lucky red underwear on when I took my bear. I barely got the offer out of my mouth and “Give me them”. She donned the red unders and off we went. We climbed in and got comfy. Well I couldn’t. It was an odd setup and compared to the stand I was in before this wasn’t ideal for someone who isn’t excited about heights! We settled in. This was our last crack at it, we flew home the next day so Birdee was preparing herself for going home empty handed but she remained positive and focused. 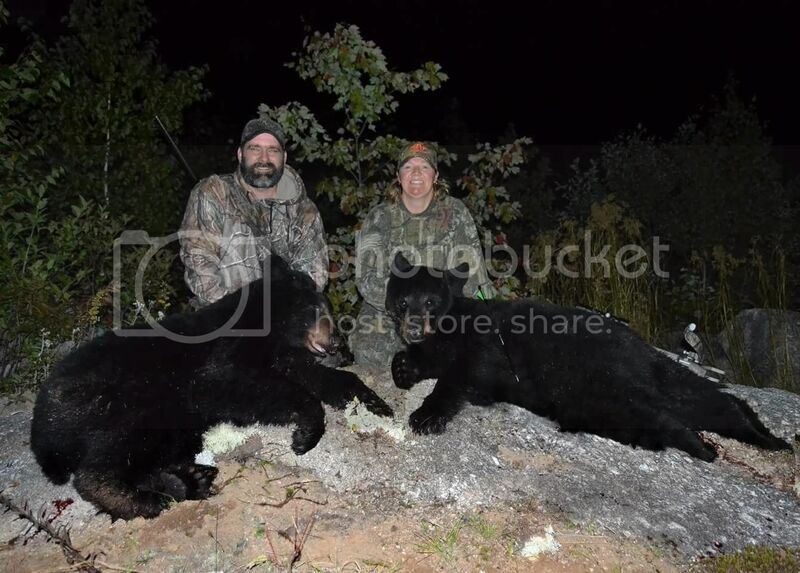 Well into the last hour of light she turned and asked me what time she shot her bear last year. “7:42”. Looked at her phone, 7:38. With 15 minutes of legal light left all I hear from her is “We’ve got company”. I slowly swing my head to see a bear approaching from the left. I’ve sat and watched Birdee shoot enough to know exactly what distance she is comfortable with. When I saw the bear getting closer I knew it was game time. Birdee steadied and once broadside she let it fly hitting her mark. The bear bolted right under us growling and carrying on. It walked off into the bush not far off and went quiet. High fives. It would have been a hug but I’d be afraid of falling out of the tree! We let Markus know that we had a recovery to do, he arrived shortly after and in no time we had Birdees bear ready for transport. There was some wine and Amaretto consumed that night. What a trip! The next morning we went down to Mark’s cousins butcher shop to process the meat for transport on the plane. So handy to have Waynes place to do this. Very appreciated! We lugged home 90 lbs of bear meat. 50 lbs in a cooler that we checked and 20 lbs in each carry on bag. We sure get some looks at the Xray machine at security but it’s all good. We can’t thank Markus and Alison enough for hosting us and Markus for the guiding help. He knows his stuff and puts a ton of time in the woods that leads to this success for us. Thanks to Tim and Wayne for their help as well! It really is a team effort to make these things happen and being a part of it for a few days is a thrill we won’t soon forget! ← BIG BASS Megabucks 2018…..